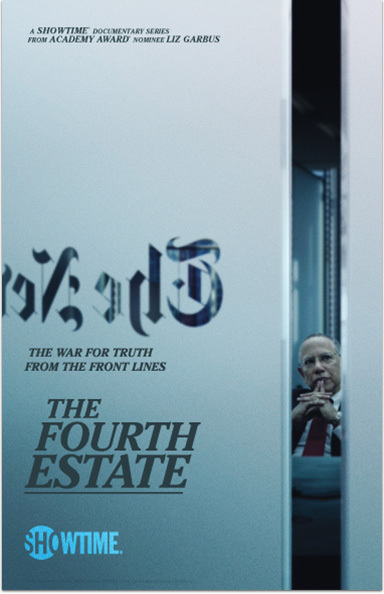 SHOWTIME DOCUMENTARY FILMS presents THE FOURTH ESTATE, a revelatory 4-Part Series from behind the scenes of The New York Times during the first year of the Trump Administration. Through extraordinary access and exclusive interviews, this series chronicles the tenacity of editors, journalists and reporters who fight every day for the freedom of the press in their tireless pursuit of the truth – no matter the political cost or personal sacrifice. The Fourth Estate © 2018 Aletheia Films LLC. All Rights Reserved. SHOWTIME and related marks are trademarks of Showtime Networks Inc., a CBS Company. You must be a subscriber of SHOWTIME to receive SHOWTIME ON DEMAND.